Directors: Stephane Aubier, Vincent Patar. Screenplay: Stephane Aubier, Vincent Patar. Voices: Stephane Aubier, Bruce Ellison, Benoit Poelvoorde, Jeanne Balibar. Stop-motion animation still has a place in film today despite the computer generated brilliance of Pixar and Dreamwork etc. “Wallace and Gromit” are still a success and with the arrival of this inventive adventure, it shows that there’s still some mileage left in the old stop-motion style yet. 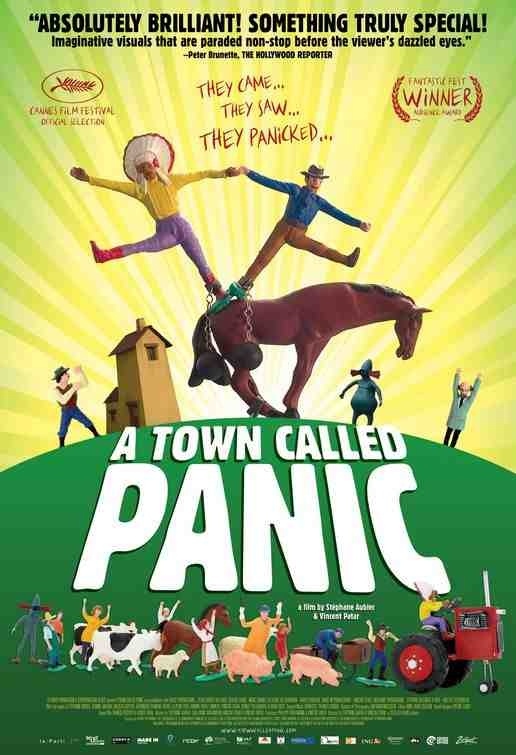 Papier mache toys Cowboy and Indian’s plan to surprise Horse with a homemade birthday gift backfires when they accidently destroy his house. No sooner have they built a new home only for it to be stolen from beneath their noses by a stealthy and cunning assailant. Strange adventures ensue as the trio travel to the centre of the earth, trek across frozen tundra and discover a parrallel underwater universe where dishonest subaquatic creatures live. As long as there’s still imagination and creativity in the world, there will still be works of art produced regardless of being at a disadvantage. This little animation is proof that millions of money isn’t necessary to produce something that works. Stop-motion animation is probably the most difficult and painstaking of techniques, making you wonder why they even bother in the first place. Fortunately they do bother and we are treated to this fantastic little gem. It’s basic in it’s setup and characters, with second rate little toys brought to life, injected with hilarity, detail and crammed full of creativity and imagination that it’s hard to resist. An absolutely wonderful little treat and very unlike most animation today. 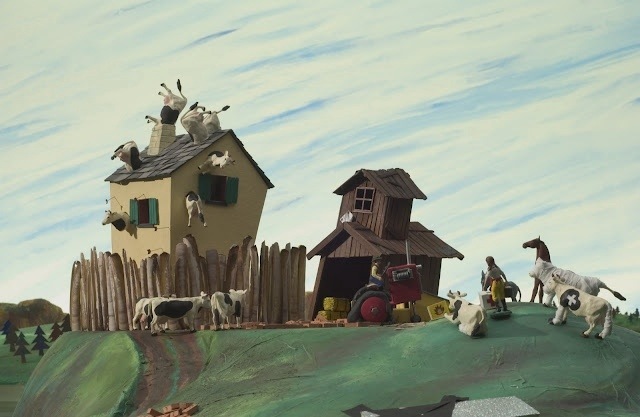 Yes, “Wallace and Gromit” are famous stop-motion characters but they are still miles from this surreal Belgian adventure from Stephane Aubier and Vincent Patar. It’s a pure joy that will shamefully be overlooked by many and deserves a wider audience for it’s originality alone. Added to which, it unashamedly boasts…”shown in glorious 2D.” Superb! This entry was posted on February 1, 2012 at 12:02 pm and is filed under Adventure, Animation, Comedy, Family, Fantasy, Foreign Language with tags 2009. You can follow any responses to this entry through the RSS 2.0 feed. You can leave a response, or trackback from your own site.